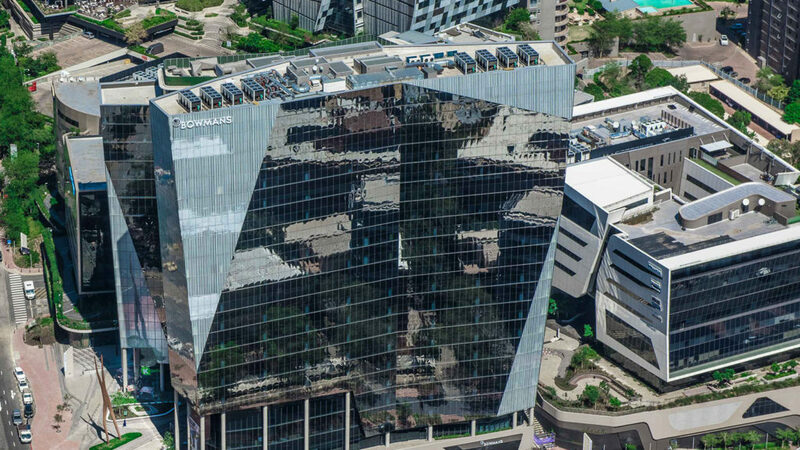 Proposals for the Alice Lane site, located in the heart of the Sandton CBD, began in the early 2000s. Over a period of time, the masterplan for the site evolved to include a public piazza bordered by three iconic buildings. This space, onto which several restaurants open, provides a sensitive pedestrian interface that attracts people to the precinct. The concept for the piazza was to create a meaningful public space by providing active and quiet places for the public; drawing people into the precinct by providing retail and a variety of food offerings; while also using elements like artworks, planting and a carefully designed water feature. Access to the three buildings is through three individual cores opening off a single super-basement – there are three pedestrian access points to the piazza at street level and three vehicular entrances off Fredman Drive, 5th Street and Alice Lane, respectively. 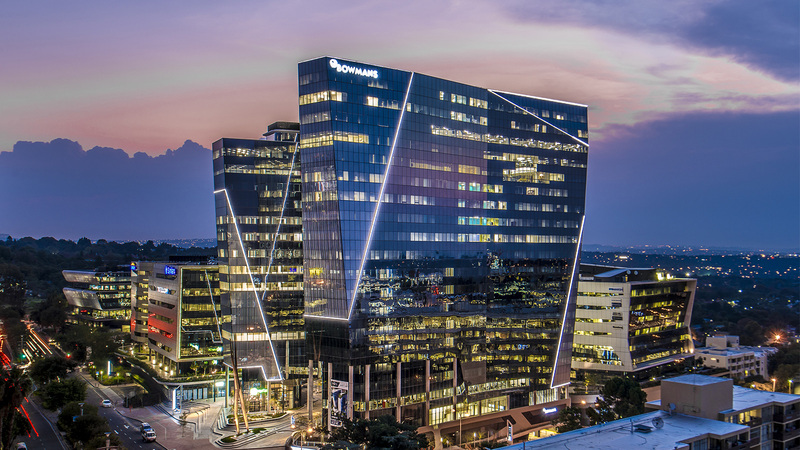 Alice Lane Building 1 was designed to accommodate primary tenants Marsh, Standard Bank, Virgin Active, Bloomberg, and Adams & Adams over eight floors, with six parking levels. Completed in August 2013, the building holds a 4-Star Green Star SA Office V1 Design certification. 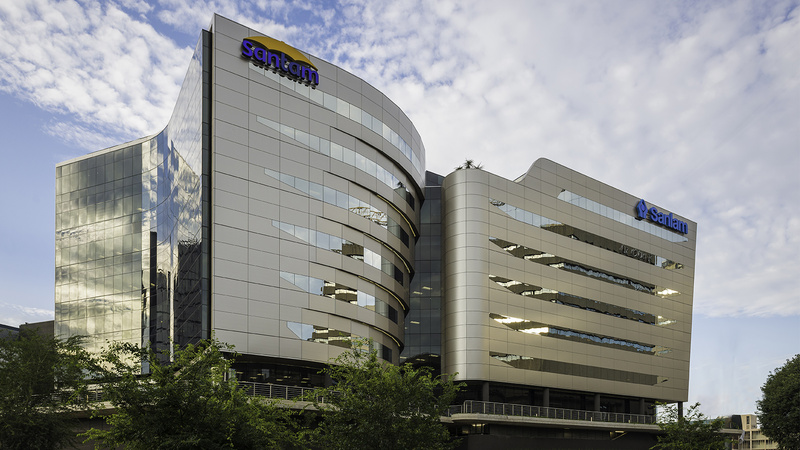 Building 2, the home of anchor tenants Sanlam and Santam, accommodates seven office floors and nine parking levels. 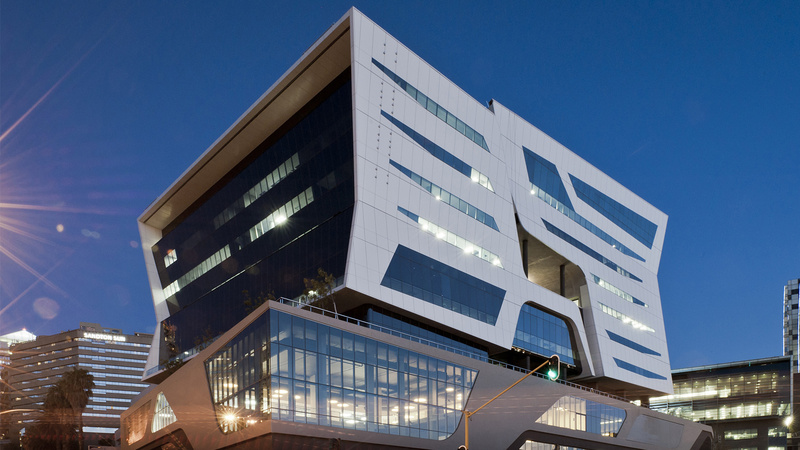 Completed in 2012, it achieved 4-Star Green Star SA Office V1 Design and As-Built certifications. 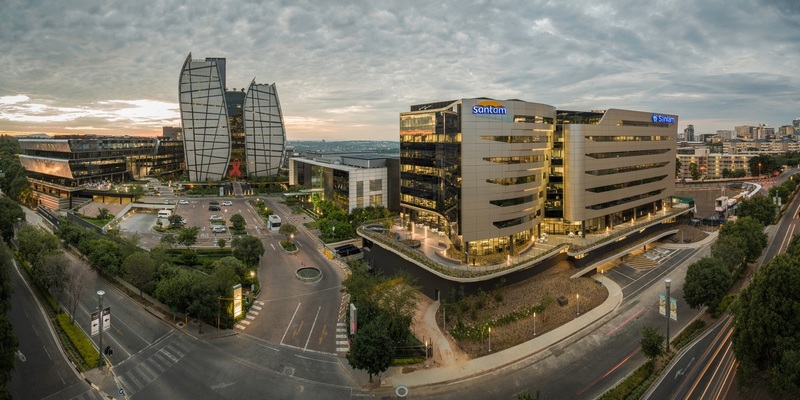 Building 3 was the final building to be completed in the precinct in January 2017, and comprises offices designed for anchor tenant law firm Bowman Gilfillan, together with retail units. With a 4-Star Green Star SA Office V1 Design certification already in hand, the As-built submission for this building is underway at the time of writing, with certification expected in August 2017. As the precinct is located on a brownfield site, there was no disturbance of previously unused land for construction. The designs of all three buildings allow for maximum natural daylighting into the office spaces, while optimising occupants’ external views from their work stations. Energy efficient lighting and air-conditioning systems have been employed throughout. In all cases, water and energy meters were installed and connected to Building Management Systems to support proper facilities management of water and energy consumption. An independent commissioning agent was appointed to manage the CIBSE (Chartered Institution of Building Services Engineers) commissioning process of each project. Through its commitment to design excellence and green building principles, the Alice Lane precinct has raised the bar for commercial developments in Africa.